Toronto entrepreneur David King learned something over the past four months, doing random bringing people together for random dinners at restaurants in Toronto: Many of the people participating were freelancers and entrepreneurs, and many of them wanted somewhere to work more often than they wanted a dinner party. He already had the two ends to his double-sided marketplace, he just wasn’t putting them together in the optimal configuration. That’s where his new startup RNDMWRK came from. 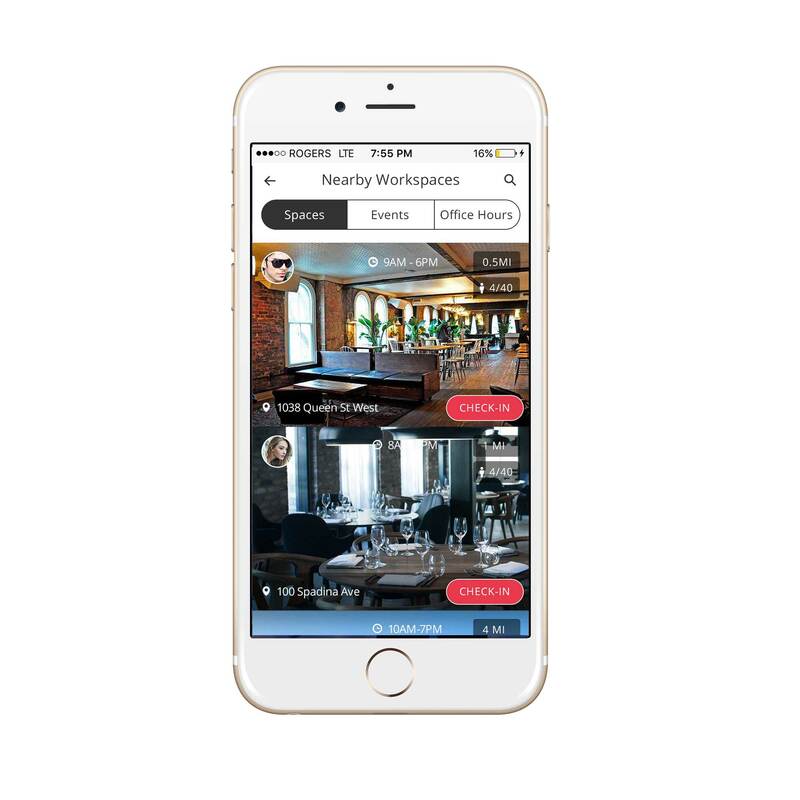 Through the startup, people want workspace sign up either on a monthly, three-month or annual basis (for $150, $100 or $50 respectively). The startup then provides access to a bar or restaurant, as well as wi-fi, coffee, tea and water all included. Plus, companionship. But the types of spaces is the key to the model’s difference from existing co-working setups. Other startups have identified the same issue. NYC’s Spacious offers the same kind of service in New York, LA, San Francisco and, soon, London. But there’s room for multiple players trading in this kind of resource – and potentially an urgent need in certain markets. Toronto, where RNDMWRK is starting off, has “the lowest office vacancy rate in North America,” according to a Toronto Star article this week. Part of King’s plan is also to leverage the talents of the people who are frequenting the spaces to help other members. Office hours are part of the plan, allowing members including web developers, deal flow experts and people with skills related to solving specific problems connect with people who have relevant issues to address in their own work. Plus, people can offer in-kind services to other members to defray the cost of membership somewhat: One member is currently offering pro headshots. Costs for RNDMWRK for the space are relatively low, because they avoid staffing requirements using members to effectively hall monitor locations. Designated members are responsible for a space for five days a month, in exchange for a membership. Basically, in exchange, they’re asked to work from the space for the entire time it’s open during the day to other members. For the businesses, King says the financial equation always makes sense. For wandering workers, the rates are more attractive than renting an office, and you get the added benefits of variety and companionship, as well as potential mentorship opportunities. As other co-working models encounter issues, like the drama WeWork is currently going through, the appetite for alternatives is likely to grow. And RNDMWRK also keeps locations semi-secret, adding an exclusive, private club-type vibe to the startup. But it also relies on a certain category of customer: the social nomad, which is likely a somewhat rarefied demographic.